Not all home renovations upgrade the value of your property. Renovations most often work out in your favour, but they can sometimes be hit or miss. Sometimes it’s the simple touches that have a significant influence on a potential home buyer’s decision. Here are our 4 picks for renovations that are sure to make a good return. The outside of your home gives any visitor that first impression of the property. Aim to WOW them, because that first look plays a huge role in determining what they decision will be. By refreshing the outside of your home, you will send a message to buyers that this is a place of pride and the perfect home to live in (and maybe even make the neighbours a little jealous). But that doesn’t mean you need to suddenly rip up the garden beds or build a new house. There are simpler ways to change the outside of your home than you’d expect. This will make an old house more appealing to potential buyers (unless the original door has some value to the home, e.g. if it is part of the home’s original history). Making a small change to your quarters by uplifting the look of the door will boost your home’s curb appeal and value. 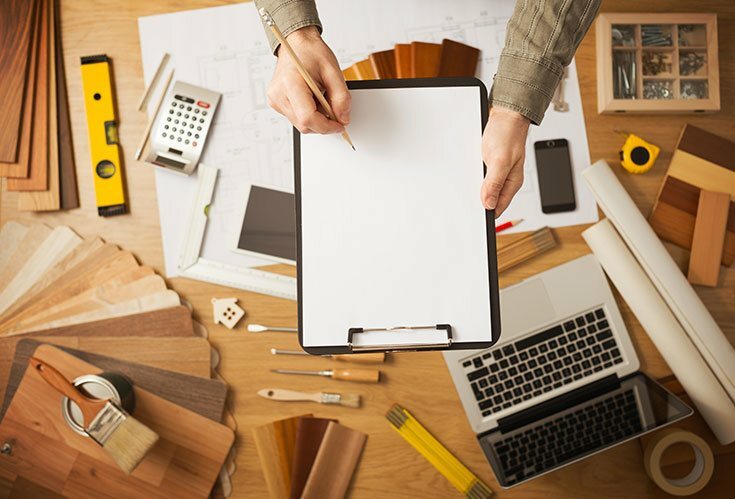 Research the styles and materials that work best for your home’s design and personality. This is a sure fire way to earn back, at the very least, the amount you spent on it in the first place. An outdoor dining or entertainment space is an instant money maker. If designed well, these spaces are very attractive to potential buyers as they showcase the comfort level and style of the home. Not only will they be making a mental note on who to invite for a housewarming party, they’ll really appreciate the multifaceted nature of the home and see that the inside of the house isn’t the only attractive part of the design. However, if you don’t have the resources or budget to create an outdoor dining space, consider some basic landscaping to spruce up your garden. Emotional value can be just as important as statement renovations when looking to make a return. According to Simon Shrimpton of Jellis Craig Clifton Hill, a well maintained exterior at the cost of $3000 to $8000 on a period home can give you a significant return of $10,000 to $25,000. So make sure the outside of your home is up-to-date and well cared for. In fact, exterior painting is considered a long-term investment as it isn’t just about making your home more appealing but also about protecting it from the elements of nature e.g. UV rays. The right paint will not only ensure the outlook of your walls last longer, but will also keep your home cleaner by preventing mildew and mould from growing. Jacque Parker, President of the Real Estate Buyer’s Agents Association, says that ‘creating extra floor space by extending the footprint of a property is by far the biggest drawcard for buyers to pay more.’ So think about opening up your floor plan by demolishing any unnecessary walls. However, creating space doesn’t always mean an extra bedroom or a second floor or even making the lounge room bigger. Just imagine living in the inner city without adequate parking? If there’s a way to add space for secure car parking to your home, not only will it give your home instant traction on the market, it is sure to give you a large return on your investment. After all, no one likes a parking ticket! If you can capitalise unused, empty or unnecessary space and turn it into a small garage (even better if it’s a double) whilst not overwhelming your home or taking space away from somewhere else important, then buyers are going to love you for it. To carpet or floorboard – that is the question. Original timber floorboards are currently a big trend in home design and will definitely pay you back when it comes time to sell. If you have a timber strip floor below your current flooring, remove the carpet, lino, tiles or whatever else could be covering them and polish them up yourself. This can be a DIY job if you’re feeling particularly renovation-savvy, or there are many flooring restoration professionals who you can hire to help you restore your floorboards to their former glory. But if floorboards aren’t on the cards, they don’t go with the design of your home or they structurally don’t make sense, have no fear. Carpets are a classic flooring solution that work with both modern and traditional homes. If your current carpet is looking a little worse for wear, then updating it is a must. Shop around for a good carpet deal and invest, and be sure to get your money back in the long run. Upgrade your lighting, heating and water saving devices with the latest technology that promotes sustainable living. We’ve previously posted about how you can transform your bathroom into an environmentally sustainable haven, and this is an easy and cost effective way to save yourself some money (or make some money when it’s time to sell). Why? Well firstly, due to current social trends, the environment is at the forefront of many people’s minds. This includes your buyers. Although you can’t assume that all your buyers are interested in this kind of thing, it doesn’t hurt to. You might pick up a few extra potential buyers solely because your house is equipped for the future (and to help minimise the impact it has on the ecosystem). You could consider changing your home’s water heater over to something like a gas hot water or a solar hot water system, or changing your flooring to a more eco-friendly solution like concrete or wood.